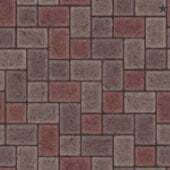 With easy-to-use design tools, instant calculations, and high-resolution aerial imagery, you have everything you need to get stunning designs done -- fast. 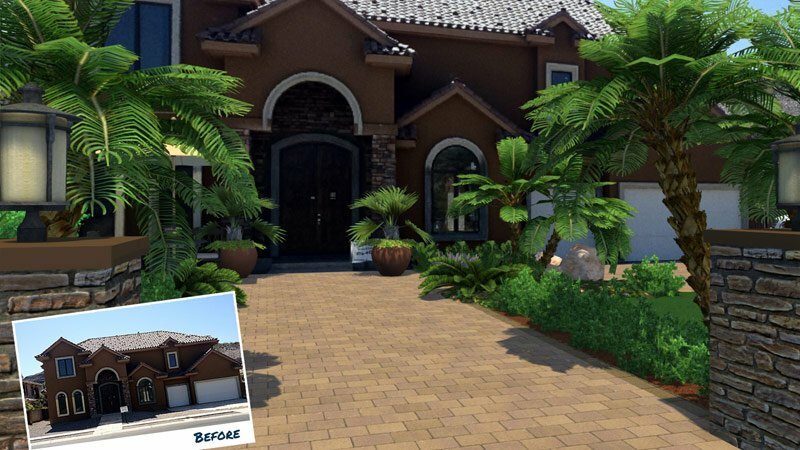 Vip3D is the 3D design software that takes you from idea to completion, more powerfully and more accurately than ever before. Update your design as you present it with unprecedented ease. With the 3D Pool and Landscaping Design Software Features, 3D objects update seamlessly so you can respond quickly to your clients’ requests. 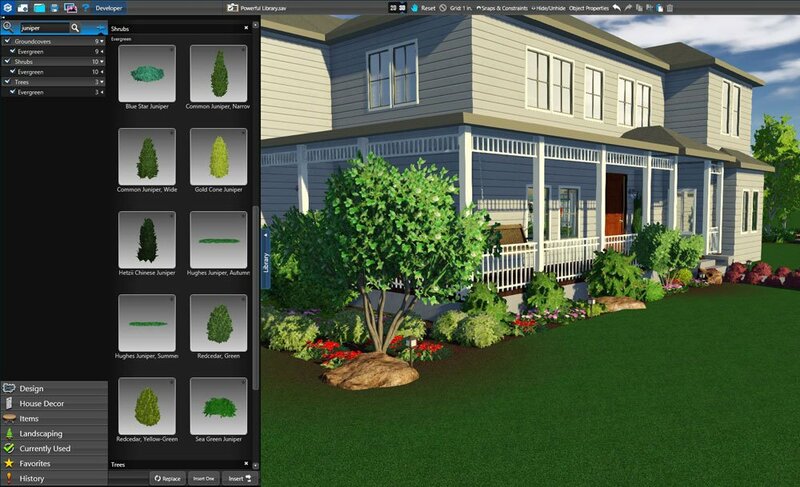 Simply drag and drop 3D objects to feature them in another location or to achieve the perfect layout. 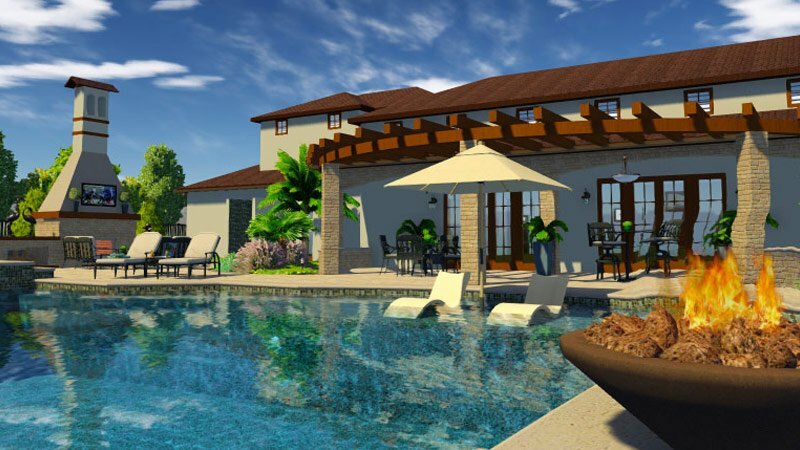 Pool Studio and VizTerra automatically detect changes and recalculate accordingly. Impressive, fast, easy. It’s never been easier to learn everything you need. 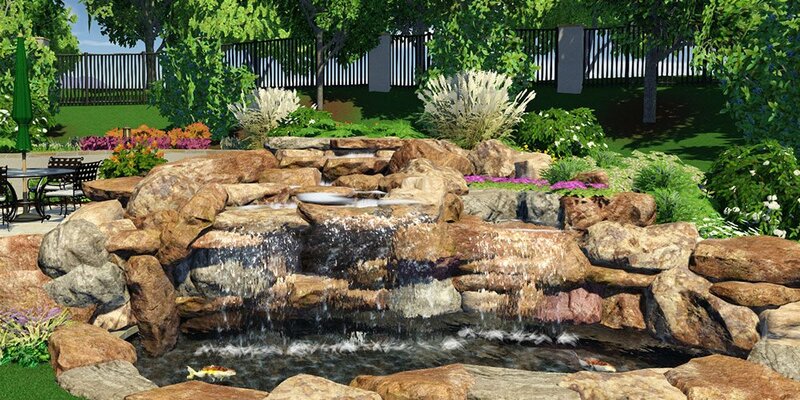 The best 3D pool and landscaping design software features a streamlined workflow. With it, you can design anything and everything with just eight powerful tools. 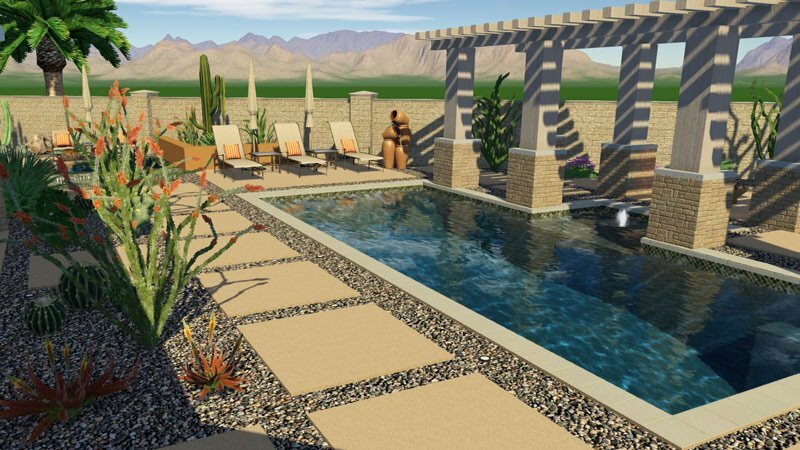 A pool, a deck, topographic terrain, plumbing lines, construction markings and more. All accomplished with three drawing tools and five editing tools. And all eight are smart tools — like the Arc tool that maintains perfect S-curves no matter how you move or alter an object — so you can design and edit with unrivaled ease. 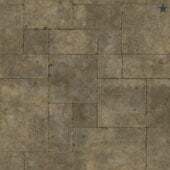 The highest-resolution aerial imagery for the highest-quality designs. 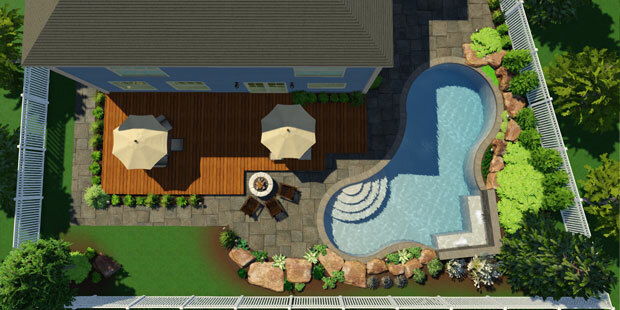 Dramatically transform your workflow with the pool landscape design software and the most accurate aerial images available. 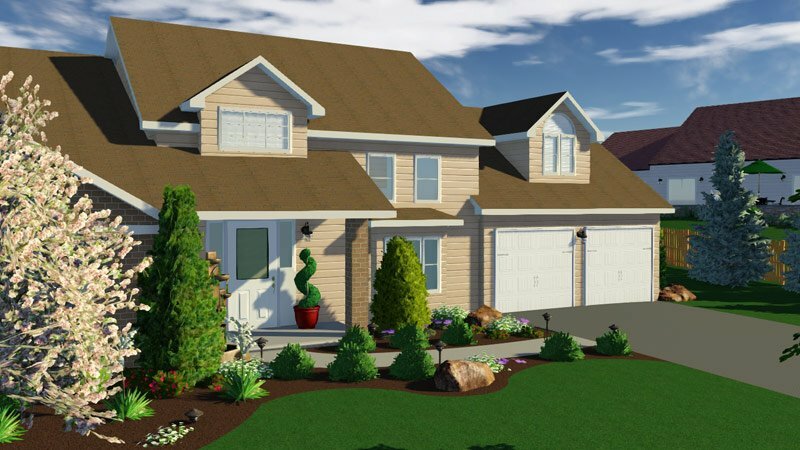 Design with high-resolution GIS surveyed terrain data, and detailed information about your client’s property. 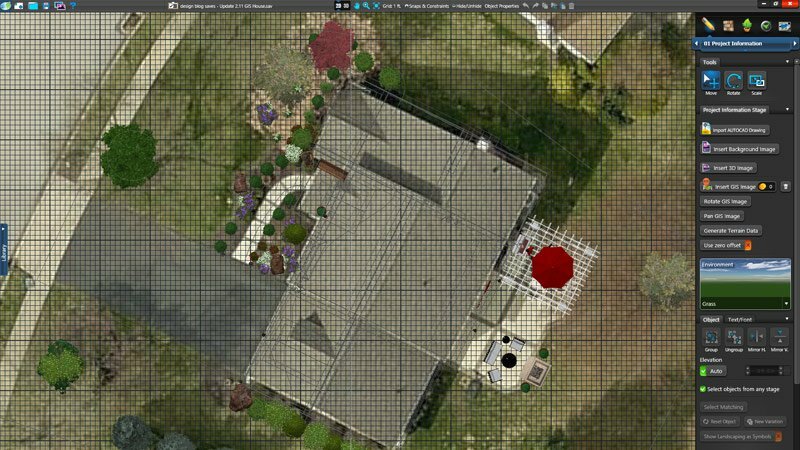 Image detail down to 3” per pixel means you can calculate square footage, measure the perimeter, and assess the outdoor living space — instantly. Simply type in your client’s address to access the GIS data, plus five ultra-high-resolution images. 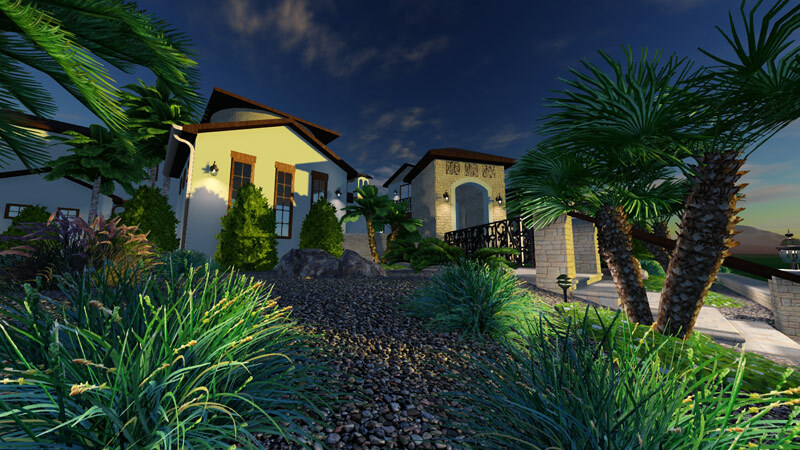 The surrounding terrain is modeled for you so it’s easy to spot any potential limitations to the project before visiting the client — or even complete a design remotely without ever stepping foot onto the site. 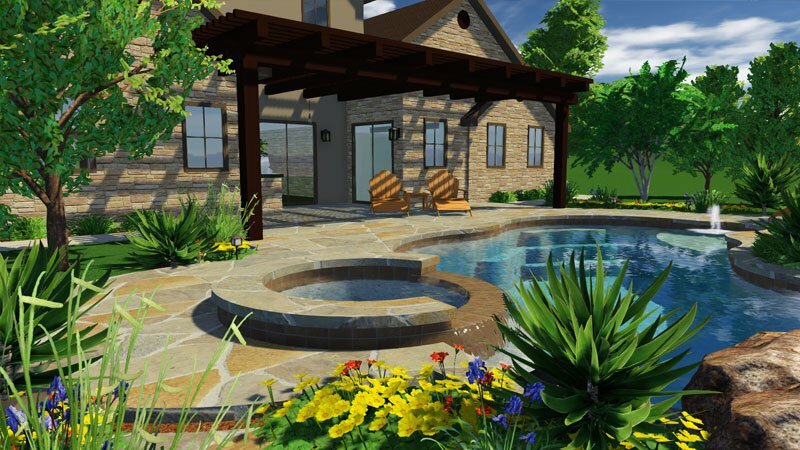 With Pool Studio and VizTerra’s easy import tools, it’s faster and easier than ever to achieve the perfect scale for a seamless design. The 3D pool and landscaping design software features let you import images from county websites or scan in plot and site plans so you have precise control over every detail of your design. And you can use the smart design stages to turn AutoCAD drawings into a stunning 3D design, instantly with this pool landscape design software. 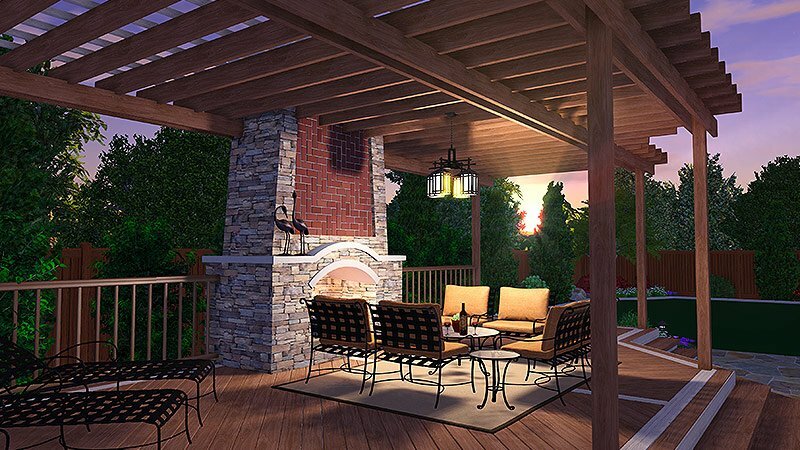 Combine the power of outdoor living design software with your sharp photography skills. 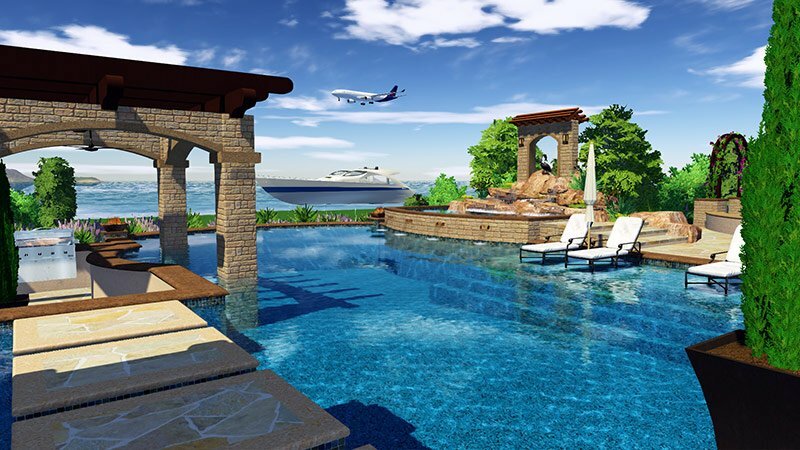 Using Pool Studio and VizTerra’s flexible smart stages, you can easily insert traditional 2D photos into your 3D design, and create the perfect look set against the background of your client’s actual space. 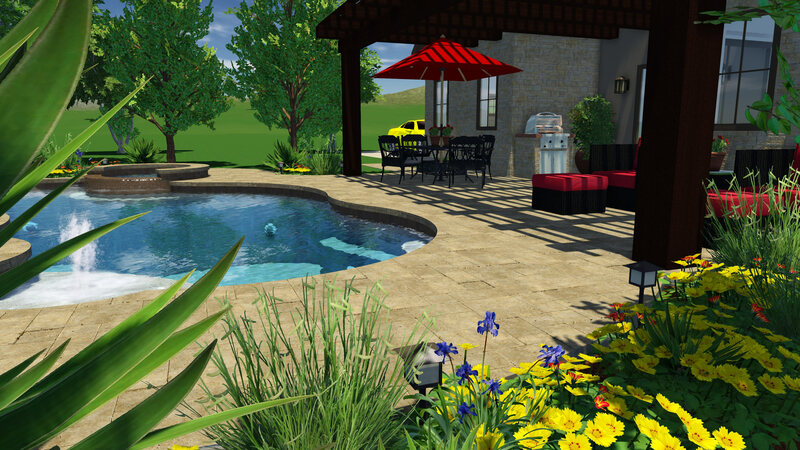 The powerful tools of the pool landscape design software let you draw 3D objects in front of 2D images, automatically giving you all of the calculations you need to both price and construct your design. 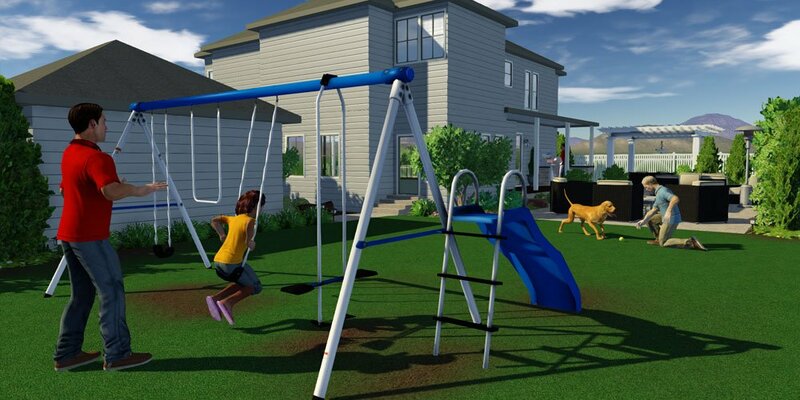 The unique and intelligent topographic terrain system empowers you to draw the grade of a client's property in just a few easy clicks. You can import topographic lines from AutoCAD, scan in site maps, and automatically generate topographic terrain lines using the incredible and precise GIS database included in Pool Studio and VizTerra. 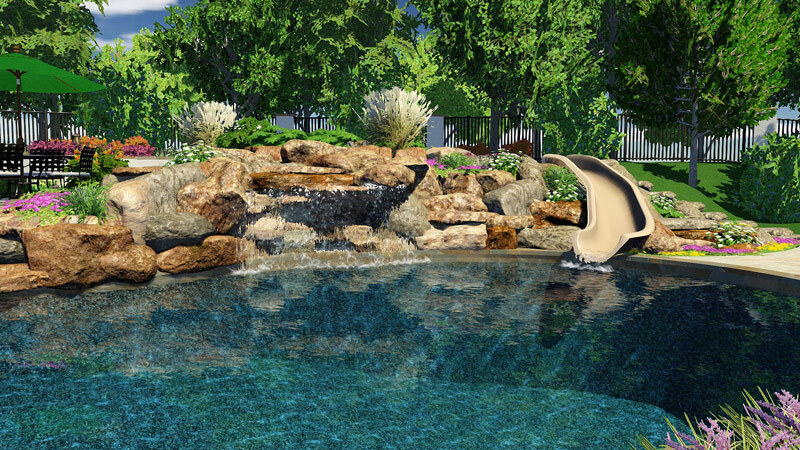 With as few as four mouse clicks, you can create a dynamic swimming pool with unparalleled realism. 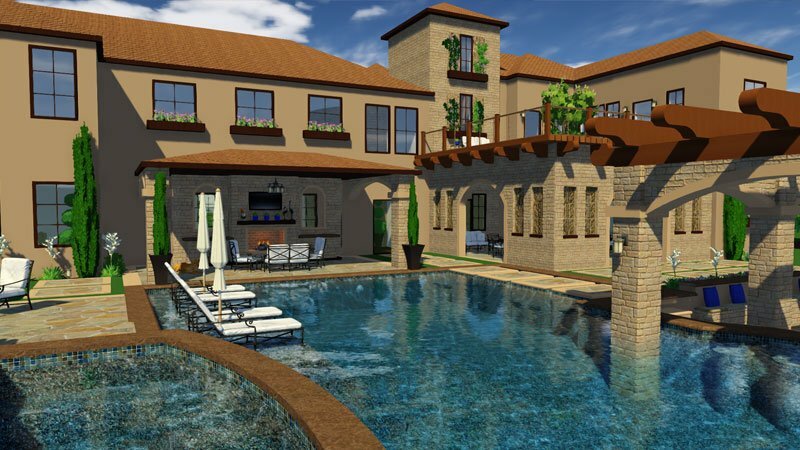 Those four simple clicks give you a swimming pool with customizable depth, realistic water color based on the time of day, and an exquisite interior finish that matches your client’s style. 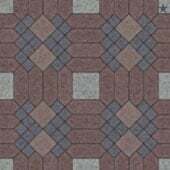 Add polish to your design by layering details, including color-changing lights, sheer descents, deck jets, vanishing edges and more. You can easily save your design to the large built-in Swimming Pool Template Library, so you can immediately access your work again. 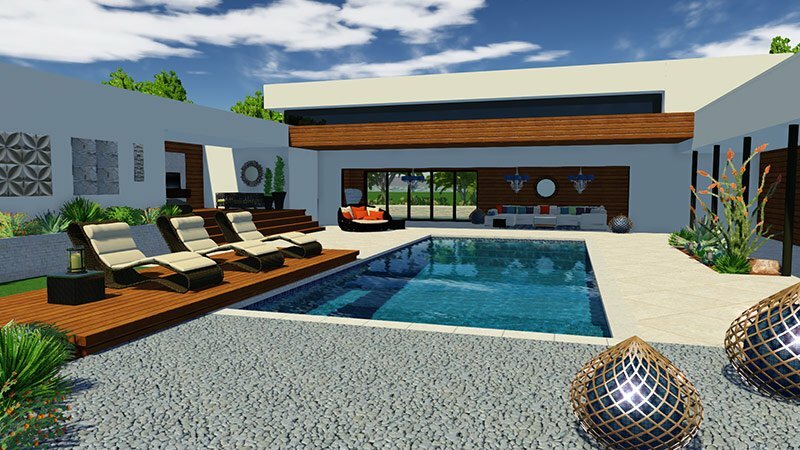 Swimming Pool Design Software has never been easier, or faster. Calculate any measurement you need in record time. 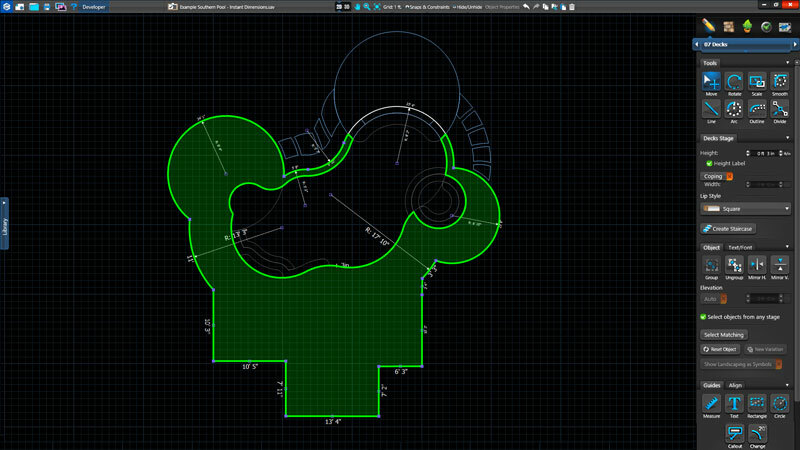 With simple keystrokes, bypass the mouse and type in the precise measurements and angles you need for any shape. Select shapes in 2D to get perimeters, linear feet, or meters. Estimate gallons. Triangulate locations or find arc center points with the measure tool. 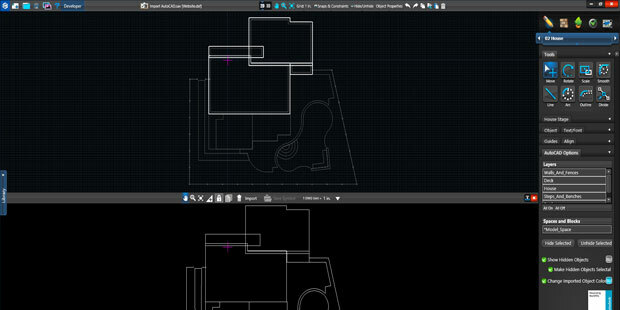 And let the pool design software’s intelligent stage system account for overlapping objects and do the area calculations for you — like when a pool, spa, and deck meet and overlap. Wall and Fence design software: Included. 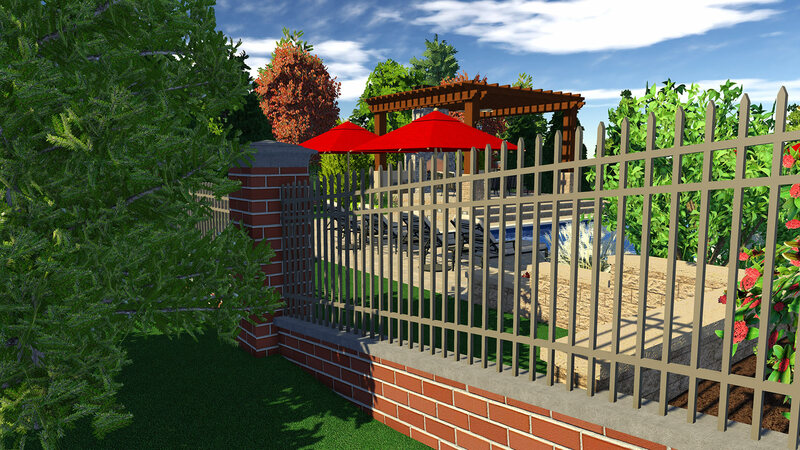 The power of dedicated wall and fence design software, made accessible in Pool Studio and VizTerra. 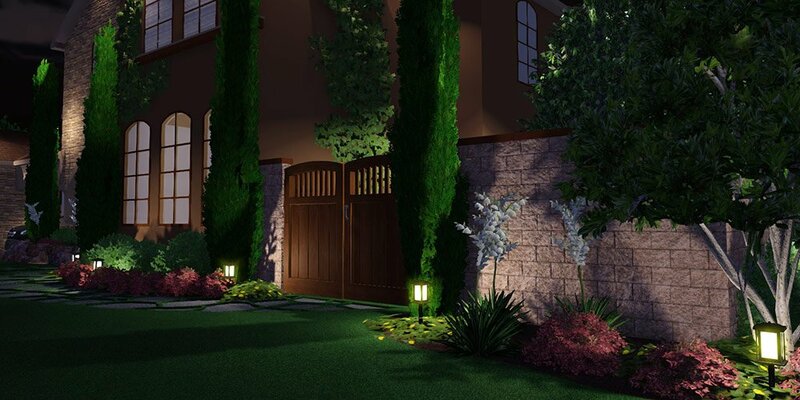 The intelligent design tools automatically detect elevation changes as you plan walls, fences, and railings. 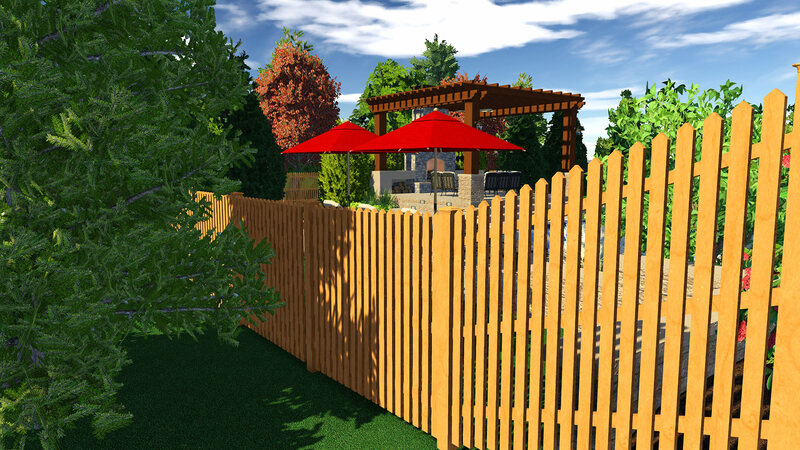 Improve on traditional fences and design without restriction — create classic wooden fences, brick walls, pool fences, child fences, and more by using the built-in template library or by customizing your own designs. 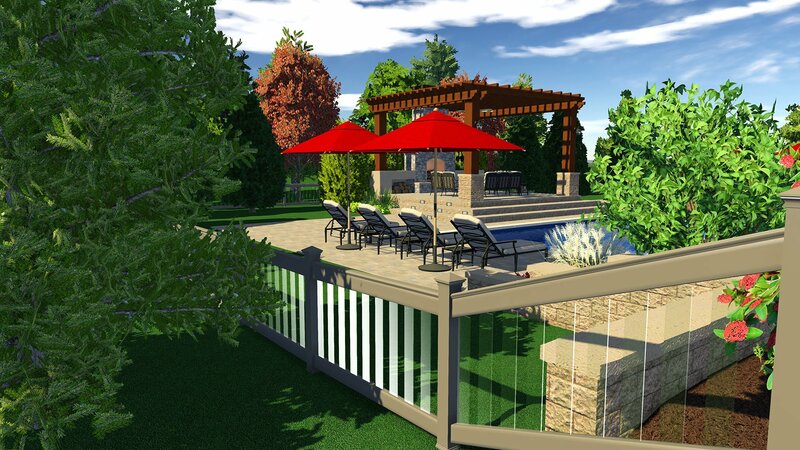 Deck design software, now fully integrated. 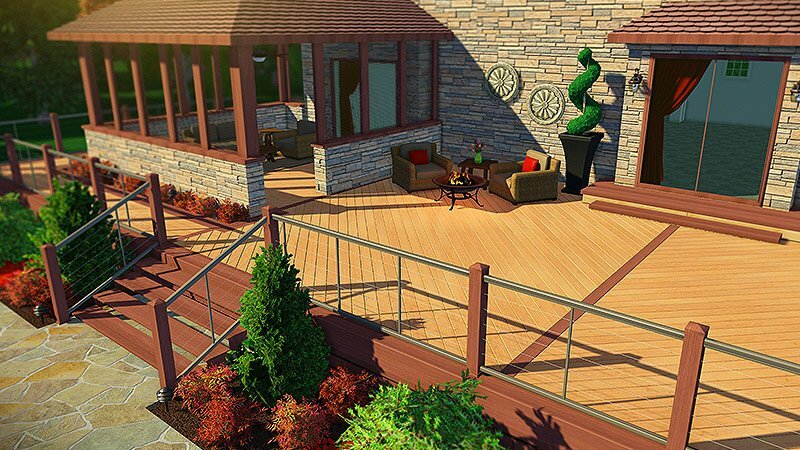 Amaze your clients with a custom deck like none other. 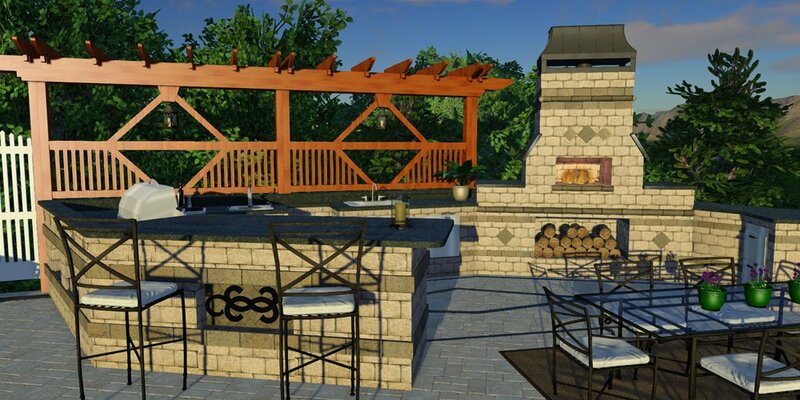 With fully integrated deck design software, the beautiful details of even the most complex decks are easy to reveal to your clients — and automatic calculation tools that update as you design offer you an unprecedented level of precision. 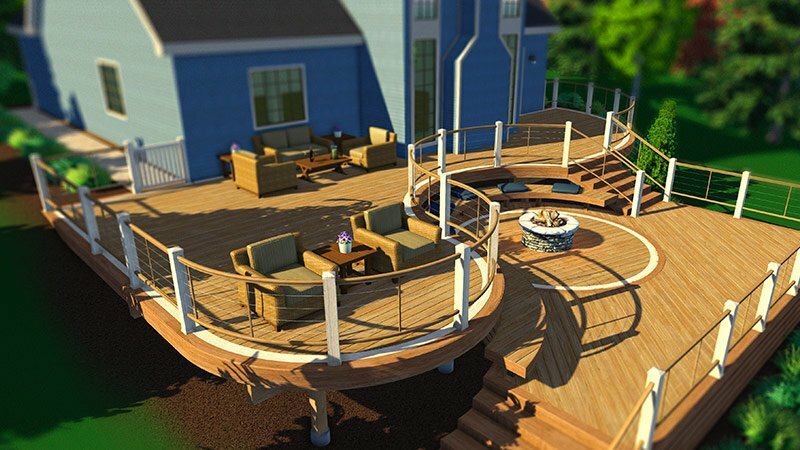 With an extensive variety of beautiful new wood materials, precise structural options that measure up to even the most innovative design, and user-friendly tools that work together far more seamlessly than standalone 3D deck design software — the Wood Decks feature makes creating the perfect custom deck easier, and more enjoyable, than ever before. 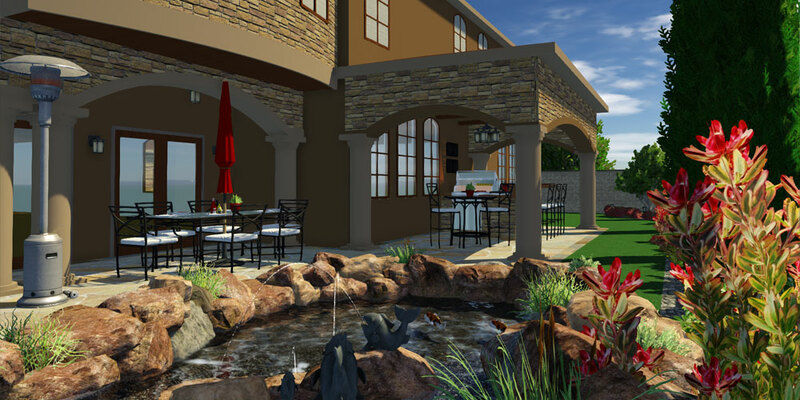 Creating the perfect pergolas, patio covers, and arbors just got easier. 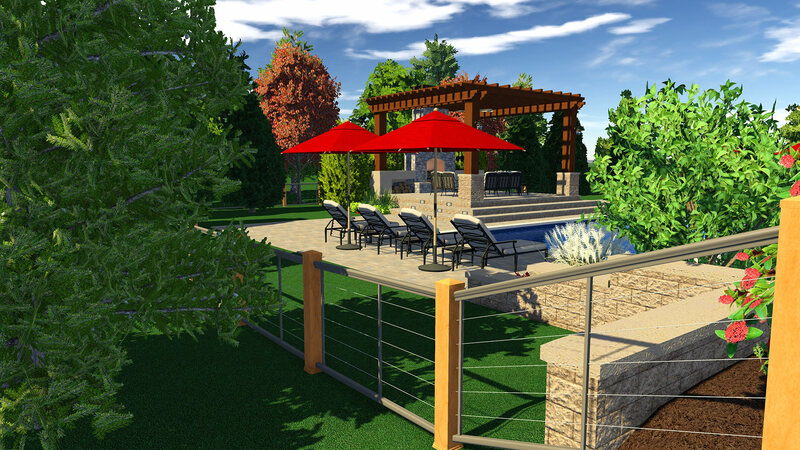 Intuitive new tools transform the pergola design process, merging fully integrated patio design software with the most powerful, accurate, and detailed pool and landscape design software to give you new tools to create, customize, and share the most extraordinary pergolas. 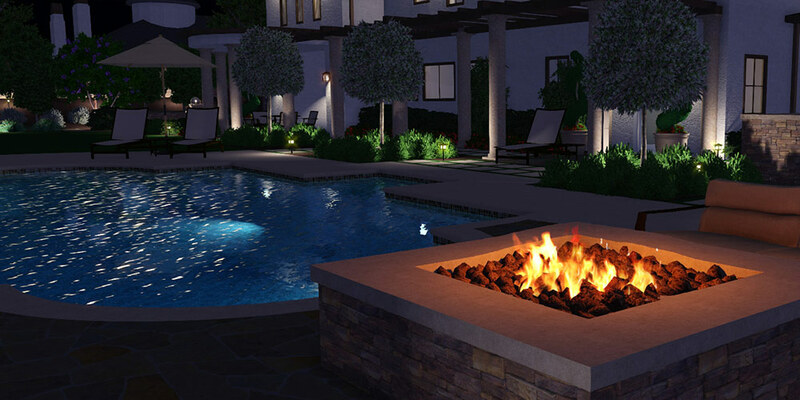 Now, it’s incredibly fast and easy to create welcoming, shaded areas for your clients to enjoy — complete with all of the custom, unique details, finishes, and features that make your design truly stand out. 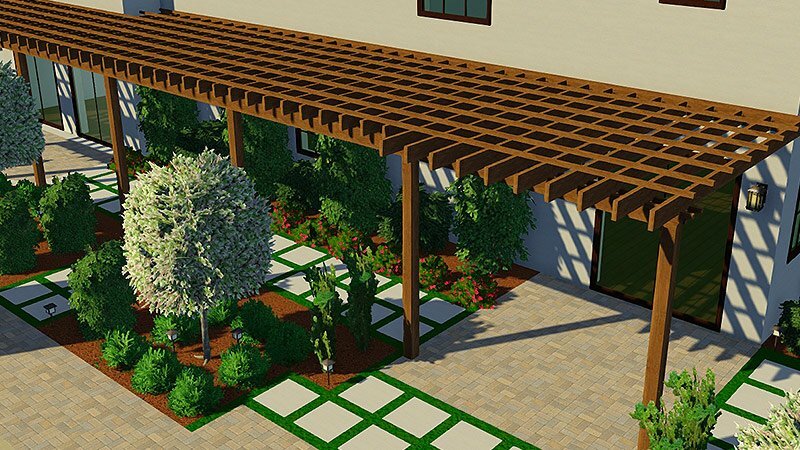 Transform your client’s backyard: take advantage of the new tools designed to make creating custom pergolas, patio covers, and arbors effortlessly easy. From custom wood finishes to precisely placed slats — every detail is easy to place, select, and edit so that you achieve the perfect results. Import favorite 3D objects, instantly. Expand your library exponentially and import easily from outside sources — you can use the simple interface to import models from Google’s 3D warehouse. People, animals, architectural elements, houses, vehicles, furniture, plants, trees. 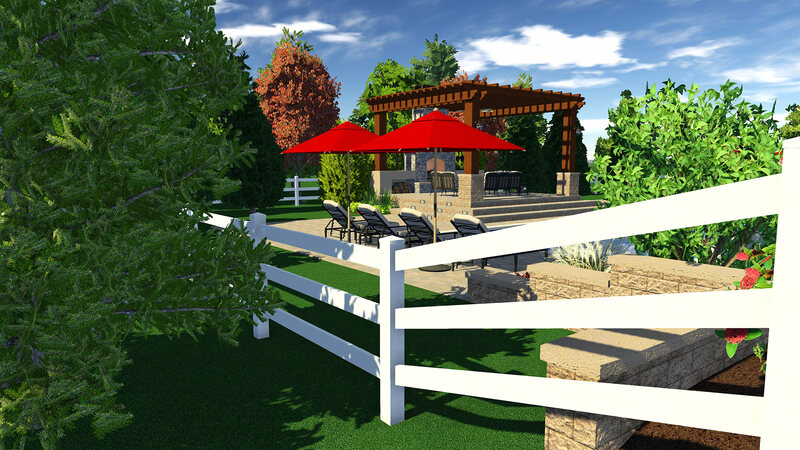 Once imported, SketchUp objects are easy to customize and match to the materials from your own outdoor living designs with the powerful and streamlined materials editor. 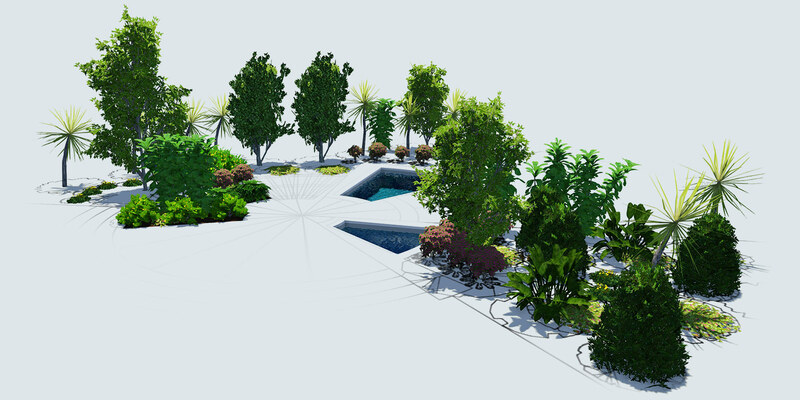 You can also save customized SketchUp models to your library to organize and use again. Find what you need, instantly. The quick and responsive library makes it incredibly easy to find what you’re looking for in just a few quick clicks. Designed around your workflow, the library is both searchable and browsable, so you can search with keywords or you can browse through thousands of objects and materials, sorted into efficient categories. Discover new ways to inspire yourself and surprise your clients. 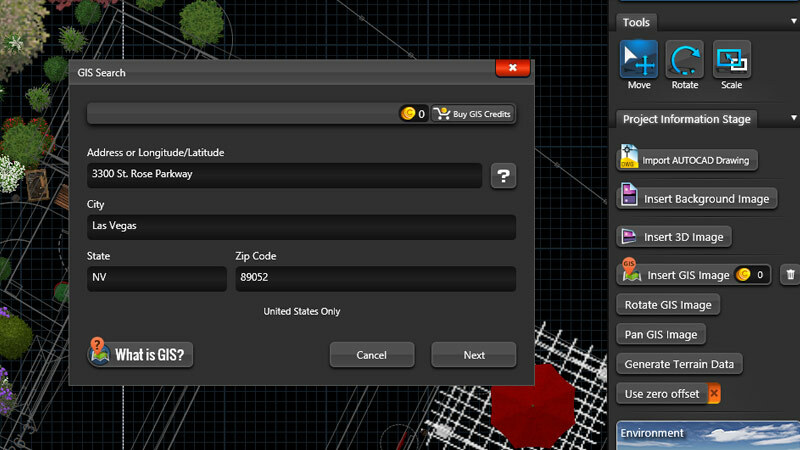 And when you find what you need, add or resize objects in just one click. Offering unlimited customization options, the library in Pool Studio and VizTerra simplifies organization so that you can save anything in your own custom categories. 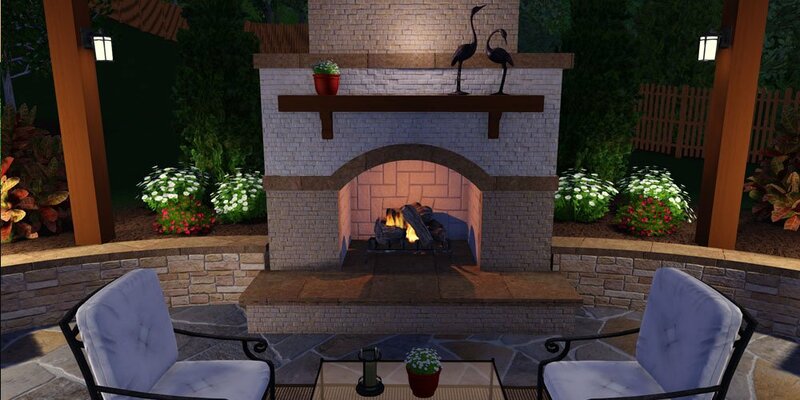 Easily save drawn objects (such as a detailed outdoor kitchen design) or customized objects (such as unique plant names and customized furniture colors) and keep them within easy reach for use in future designs. 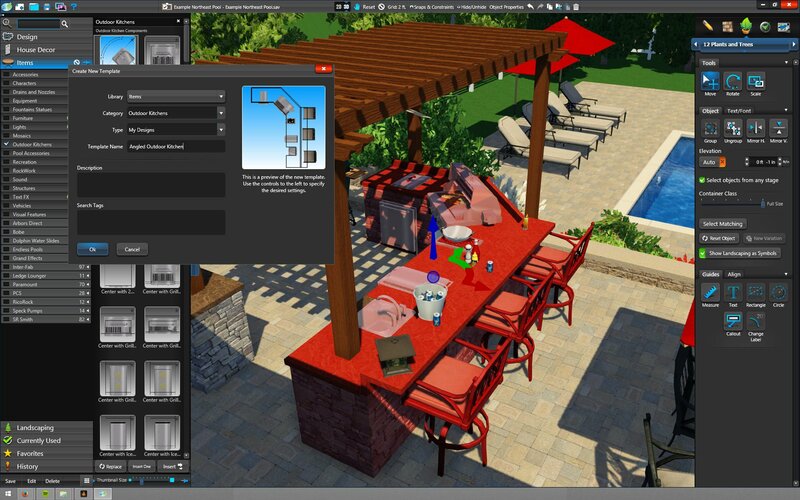 You can also select groups of objects to save them together in your custom outdoor living design software library. 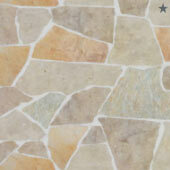 Customize every surface of your design using our library beautifully rendered materials. 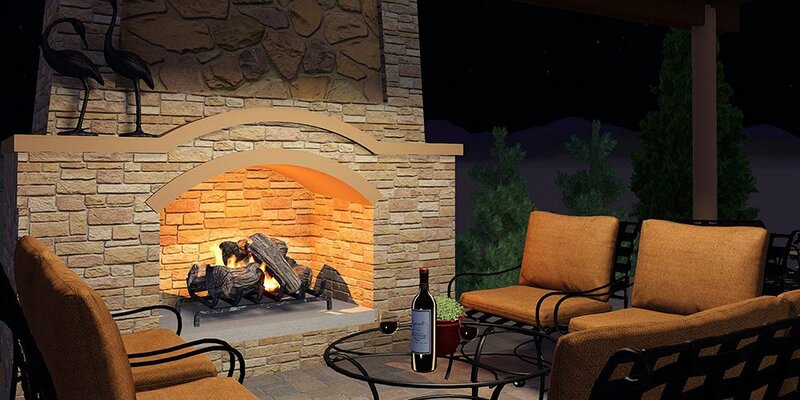 Create a custom experience using thousands of hand-crafted items to decorate your designs. 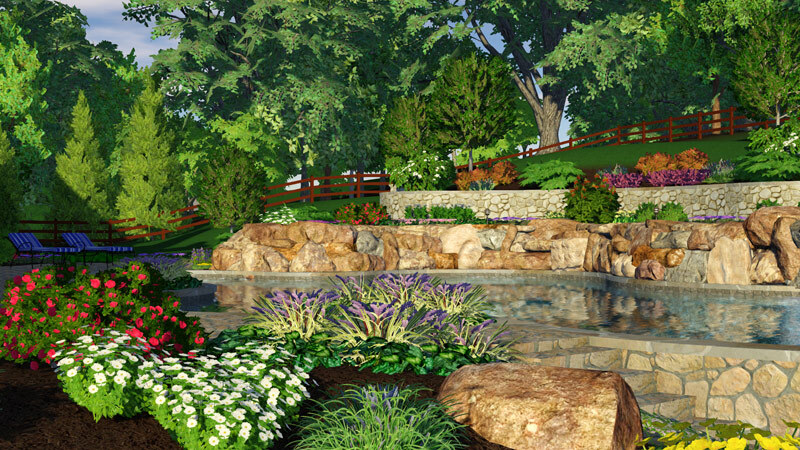 Choose from thousands of life-like landscaping items including Flowers, Trees, Shrubs, Ground Cover, and More.